27 music artists and organisations are among 183 arts projects that received $6.6 million in the latest Australia Council grants round. They cover career development, regional touring and international opportunities. Music NT, $100,000 for their 2019 activities. Contemporary Music Victoria, $75,000 for their 2019 program. Melbourne Jazz Co-Op, $60,000 for their 2019 program of concerts and events. Darwin-based Skinnyfish Music, $55,000 to support the music program at the 2019 Barunga Festival in the NT. Electronic dance Razor Recordings, $47,000 for live touring throughout 2019 by the Yothu Yindi Treaty Project. The Australian Music Centre, $100,000 for a two-year program of market development for Australian jazz in Europe delivered in partnership with Sounds Australia. 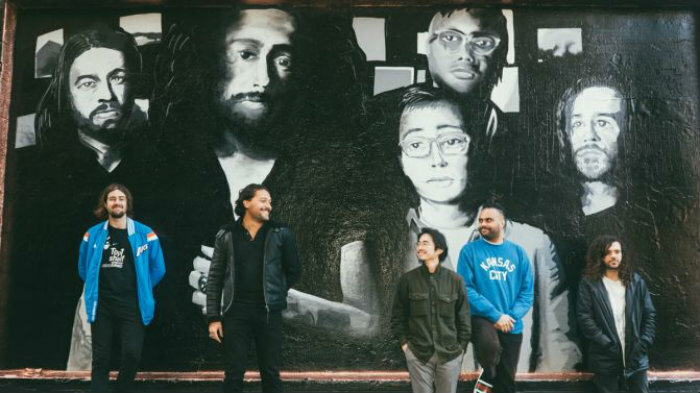 Gang of Youths, $38,000 for a USA headline tour. Julia Jacklin, $40,000 for international touring. Lance Ferguson, $36,000 for a Bamboos European tour. Sylvie Nehill, $28,000 for a Divide and Dissolve US tour. Qld folkie Monique Barktowiak, $5,032 to head to Canada to do a residency at the prestigious Banff Centre and then showcase the Folk Alliance market. Joel Edmondson, head of Queensland Music festival and one-time QMusic chief executive, $15,000 to support undertaking an intensive leadership development program at Harvard in May. EDM artist and label boss Nina Agzarian aka Nina Las Vegas, $8,000 to support a range of business and professional development activities in the US and UK. Odette, $12,000 to support international marketing of her debut album. Drummer Andrew Hewitt, $10,000 towards his Wheelchair And All tour of the US. Paul Mac receives $38,866 towards final stage development of his musical theatre piece The Rise and Fall of St George with playwright Lachlan Philpott, celebrating the life of George Michael. Northeast Party House receive $28,000 towards a new album. RVG, $25,000 towards their second album. San Lazaro, the HopeSteetRecording-signed Latino outfit, $25,000 to write and record new material. Cairns-based First Nations reggae outfit Zennith receives $30,000 towards a new album. Paddy Mann picks up $16,000 towards a new Grand Salvo album, following up Sea Glass late last year. First Nations female hip hop trio Oetha pick up $32,000 to support recording new material and production of music videos. Composer and violinist Erkki Veltheim who previously collaborated with Dr G on the Djarramirri album, receives $17,000 to produce his first solo album which will be released on the Room 40 label. First Nations pop/ folk/ jazz husband and wife duo Microwave Jenny pick up $21,000 to support a new album. Arnhem Land’s all-female Ripple Effect receive $35,000 to support development and recording of new work. Senegalese born Melbourne musician Malamine Sonko receives $24,000 to create a new body of work for premiere at Melbourne Recital Centre. According to the Council’s executive director of grants and engagement, Frank Panucci, they received 1,353 applications for funding across Aboriginal and Torres Strait Islander arts, community arts & cultural development, dance, emerging & experimental arts, literature, multi-artform, music, theatre and visual arts. While 183 projects were funded, a further 271 were assessed by peers as being of high merit and deserving support but could not be funded within the scope of the budget.